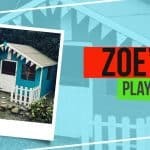 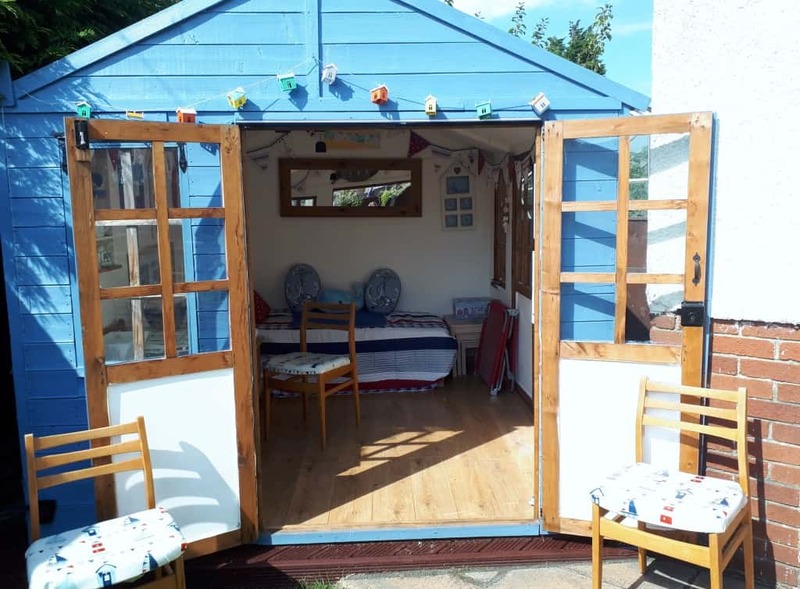 Jane has created a fabulous beach hut style summer house. 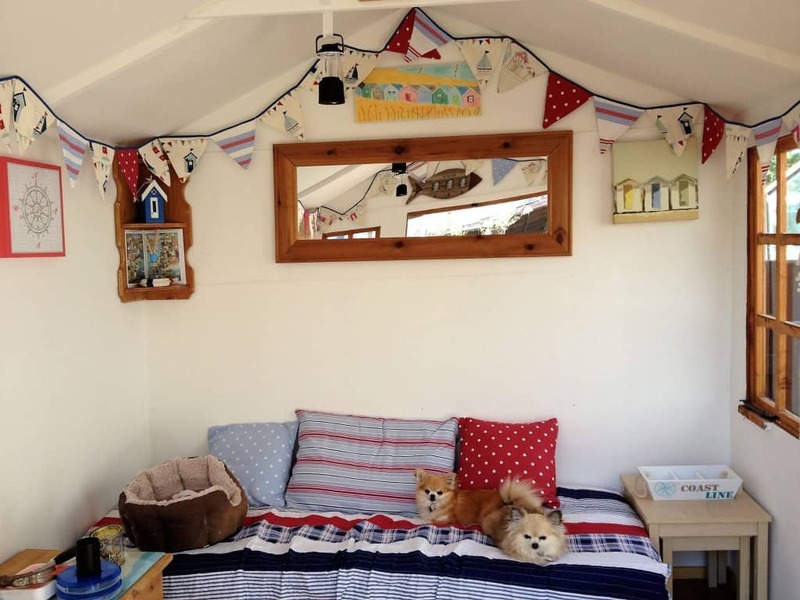 A blue and white colour scheme is complemented by seaside bunting, a cosy interior and two very cute dogs. 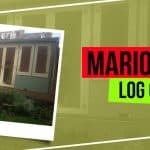 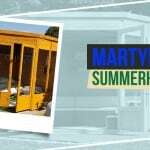 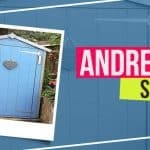 “I did a lot of research over a few months, including local garden centres, to find the best company that suited our budget and had good reviews. 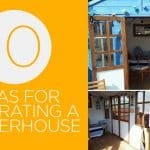 Jane said her customer experience, from purchasing to delivery was just what she wanted. 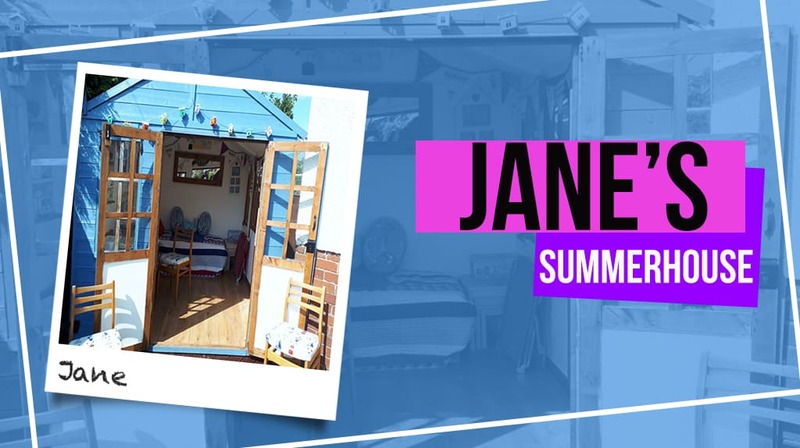 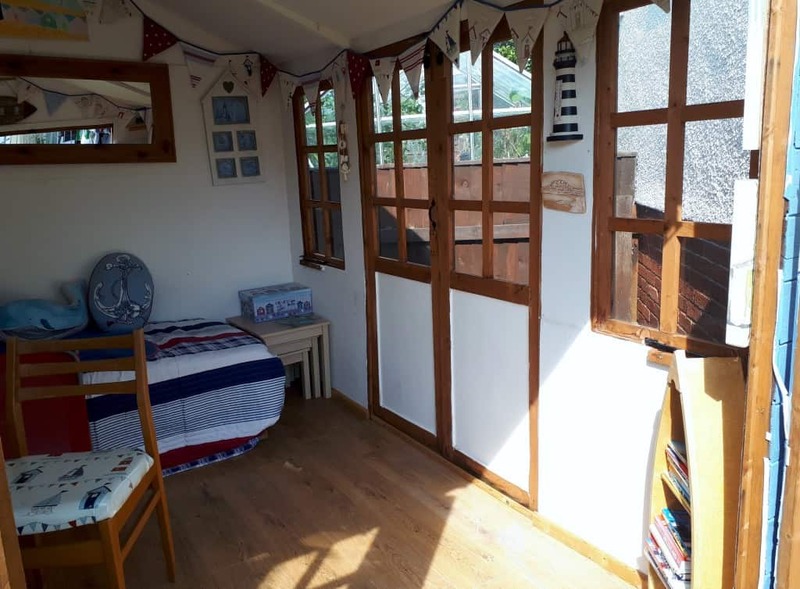 If you’d like a beach hut like Jane’s, shop our fabulous range of summerhouses!